These classes will investigate different styles of dance including Ballet, Tap, Jazz, Hip Hop, Lyrical, Tumbling, and Partnering Skills. We will spend about 3 to 4 weeks with each dance style, and work to develop the numerous styles needed for Musical Theatre. Each class will begin with a full body warm-up, across the floor, and combinations unique to each dance form we are studying. 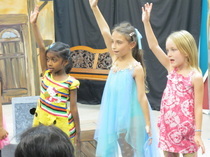 The student will gain an appreciation for the many different styles of dance necessary for Musical Theatre. This class is for students wanting to learn to sing in a group environment. We will work on ear training, breathing skills, tone, and using the voice both as a solo and ensemble instrument. 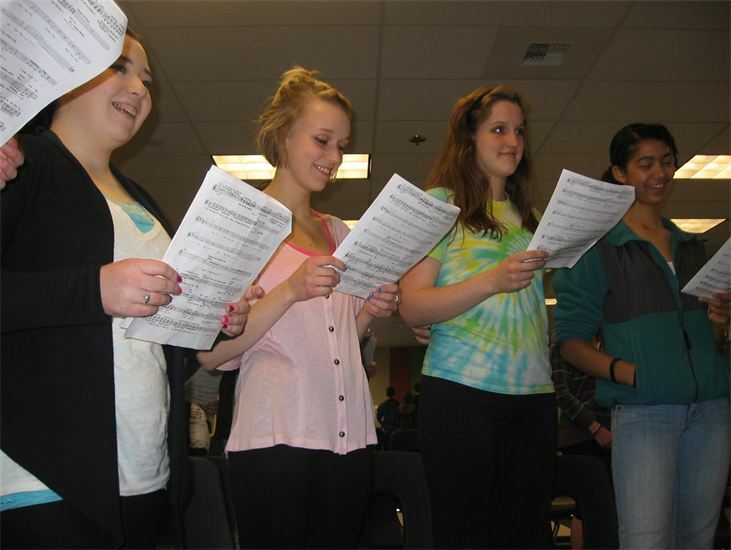 This class is for students wanting to learn to sing in a group environment. We will work on ear training, breathing skills, tone, and using the voice both as a solo and ensemble instrument. It will be a good place for students to begin vocal training and will perform a demonstration for parents and friends at the end of the session.